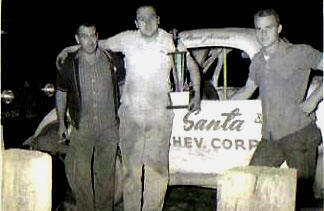 The backbone of any stock car effort from yesteryear was the cadre of loyal supporters that driver had. 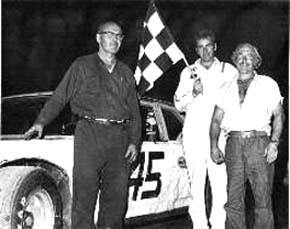 Seeing as no team had much for economic backing - and none had any full-time help, the volunteer pit crew consisted of good pals, next - door neighbors, and fellas who just happened by the garage, one day, and kept on coming back. 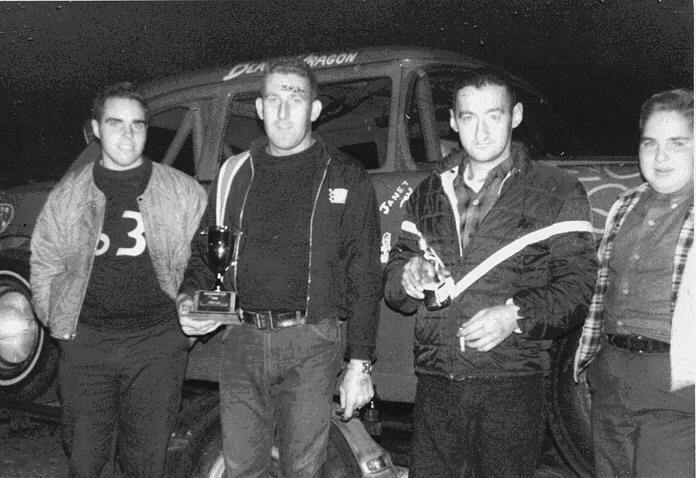 These photos show the rough and ready boys who skinned their knuckles to get those wonders of automotive technology in the early days of our sport. Mike Michaels [Suraske] and crew with their famous 10-10.
someone with last name Mortimer.